Banana Smash 100 ML E-Liquid from Sweetie has a terrific banana flavour (as you may have guessed) but also has what seems to be a taste similar to another fruit on the exhale; it may not be as I can't quite put my finger on exactly what it is but it is very, very good. Banana Smash 100 ML E-Liquid from Sweetie is a full 100 ML, 70-30 (VG/PG) with no nicotine content: you have the option, if required, to purchase 10 ML Nicotine Booster Shots 18 mg (1.8%). These have no flavour added and can be used to enhance any e-juice. The following are approximations; add one shot to make nicotine content 0.15%, 2 shots for 0.3%, 3 shots for 0.45% and 4 shots for 0.6%. 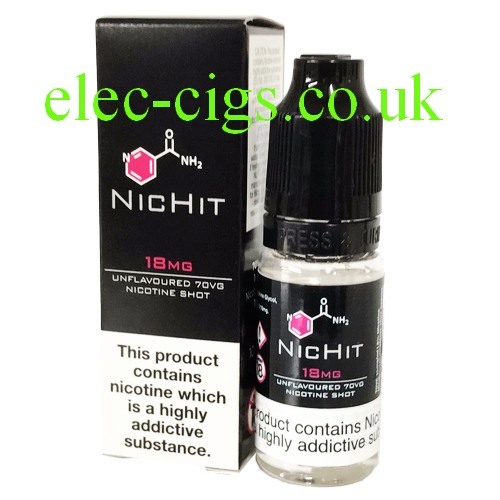 The brand of the Nicotine shots may vary from time to time but will always be of the same quality and specification. Banana Smash 100 ML E-Liquid from Sweetie. Any comments as to the flavour are subjective and are meant as a loose guide only. You must be of a legal age to buy this e-liquid (18 years plus). If purchased with the Nicotine Shots this product contains nicotine which is a highly addictive substance.